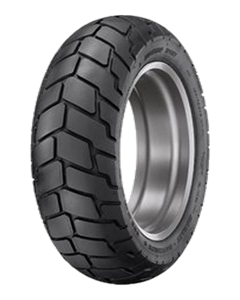 Dunlop has designed the D427 exclusively as the Original Equipment (OE) tyre for the 2008 Harley-Davidson Fat Bob® motorcycle. We understand the importance of having a unique bike and knew we needed to have a unique tyre to compliment it. The D427 tread design has a retro-look pattern on the outside and all the Dunlop technology and know-how under the skin to complement the performance and handling abilities of Harley-Davidson Fat Bob® motorcycle.